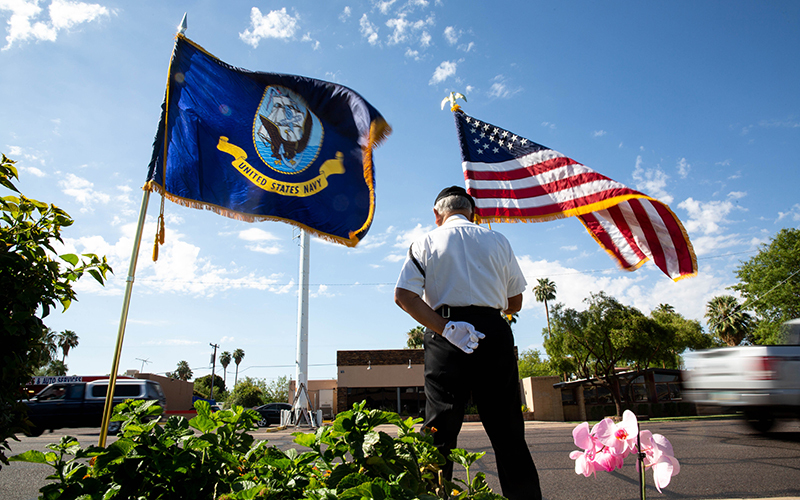 PHOENIX – Since last weekend’s death of Sen. John McCain, honor guards have been lining up day and night to pay their respects. It has not been an easy task for some of them. 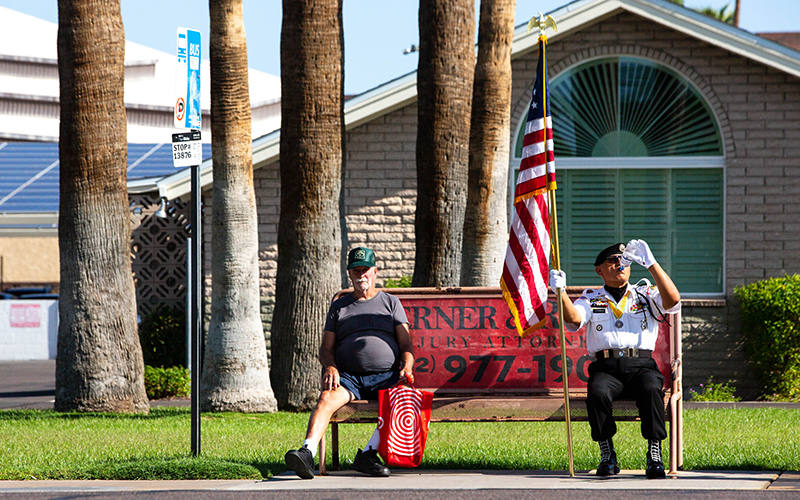 “Sometimes, just standing sends a message,” David Carrasco said while on duty outside the north-central Phoenix funeral home where John McCain’s body now rests. His main job is to stand at attention for hours under the scorching sun. Carrasco is a Vietnam veteran and commander of the POW/MIA/KIA Honor Guard. 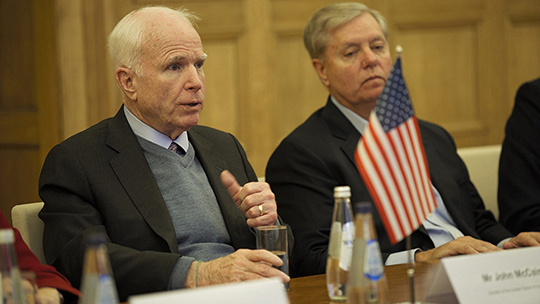 Members of the volunteer organization have devoted time, resources and energy in homage to McCain. The sacrifice is more than physical. Guards have to pay their own expenses, including their uniforms. Carrasco says he also spent $2,000 on the flags that surround the A.L. Moore-Grimshaw Mortuaries Bethany Chapel. Guard members take shifts throughout the day, but sometimes the heat is unbearable. He said even getting out of bed was difficult Monday morning. But his dedication to this quiet service is much greater. Carrasco hopes his volunteer work helps spread more understanding among political factions, something he thinks McCain – a Navy pilot who endured more than five years in captivity during the Vietnam War – would appreciate. He will keep standing. Honoring a fellow veteran on his last journey. – Hana Dement contributed to this report.